Wildlife artist and illustrator Alan Messer discusses owl populations in New York, North America, and Great Britain. With a little magic and favorable winds, there may even be a sighting of a local Great Horned Owl—or even Northern Saw-Whet or Barred owls, which are very special visitors to Central Park. 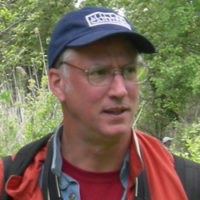 Alan Messer, a former president of the Linnaean Society of New York, is a wildlife artist and illustrator of books, field guides, and periodicals. Can’t make it on this date? We’ve got more Owl Walks and Talks!